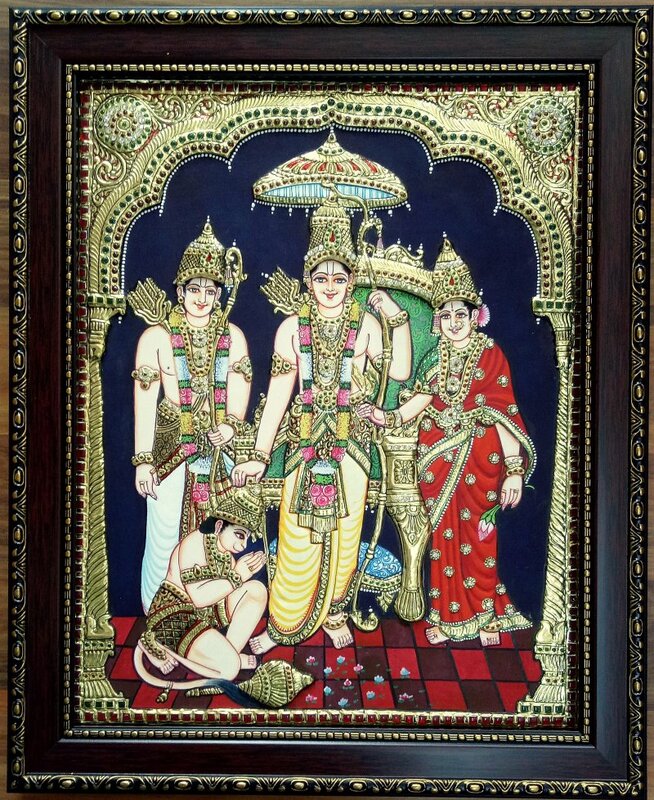 Ram Darbar painting is very auspicious to keep in the house. It enhances love and relationship among family members. Ram Darbar consists of Ram, Sita, Laxman and Hanuman. This Tanjore painting is made by traditional method and are handmade.